The DataNet Federation Consortium uses data grid technology to implement collaboration environments. Researchers from multiple institutions can build a shared collection, manage the properties of the shared collection, publish data, and archive data. Access to a public area on the DFC Federation Hub is provided through the link below. You will be re-directed to a web browser interface to the data grid, and will be able to browse through papers and presentations organized in separate collections. create links for public access. 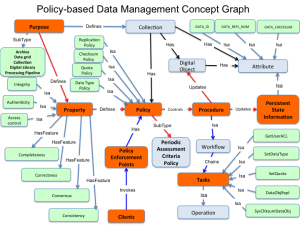 Researchers can verify that there management policies have been correctly enforced through the application of verification policies. 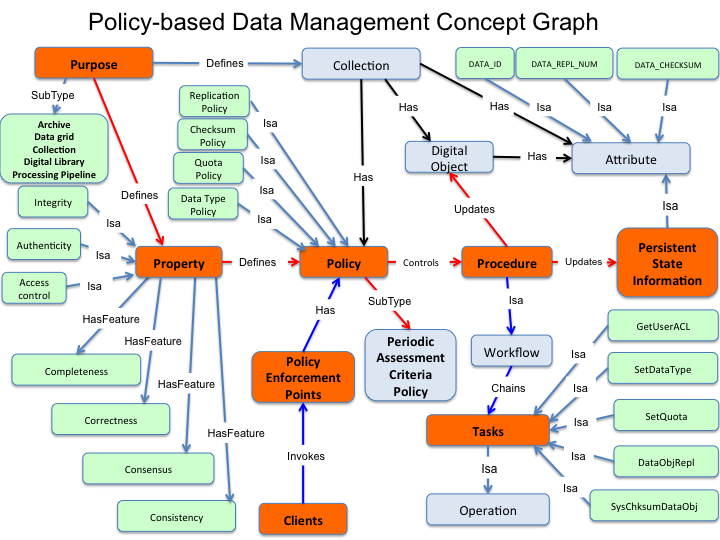 Any property of the data management environment can be verified, and corrective actions can be taken as needed. An example is the verification of integrity through the analysis of checksums, and the replacement of corrupted files.